Above are some new Full sized Kapuke-ki Kaiju and the new MINI KAPUKE-KI Kaiju figures!!!! All of the above figures found new homes at or after Urban Craft! Thanks to anyone who picked one (or more) up! 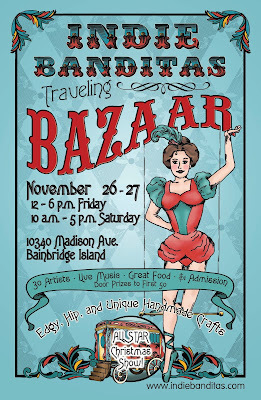 And then - the next weekend - My lady and I headed down to Portland for the Crafty Wonderland Holiday Mega Extravaganza! There were a gazillion vendors at this thing - maybe the reason why the shoppers weren't going nuts. I ran into Bwana Spoons, Hungry Eyeball, Jon Knox and Monstre Hero while down in Portland - AWESOME to meet those guys! Bwana took some of my resin for his shop (Grass Hut in downtown Portland), and I picked up some Jon Knox resin to paint up (in February). There is a ton in the works for February - resin releases, some collaborations and customs galore! Merry Christmas to all! May it find you surrounded with toys and other such great art-stuff! 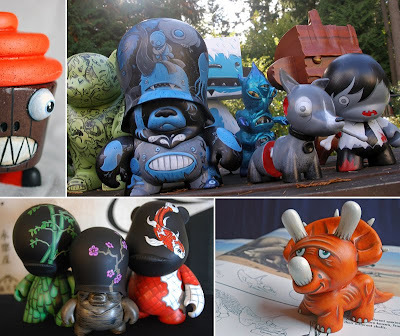 1)"Art Of Toys" Group show at Tasty in Seattle's Greenwood neighborhood! Opening THIS FIRDAY - November 12th. Happy Cupcake Buddhas! Part of my upcoming Kapuke-ki Propaganda Resin Series! Kapuke-ki Luchador Resin Figures! Bootleged MUSCLE toy from the 80's! 3)More infoto follow, but the following 2 Events ARE GOING TO BE HUGE!!!!!! 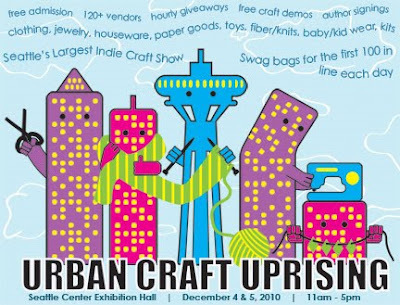 WINTER URBAN CRAFT UPRISING! I'll be there December 4th and 5th with BUNDLES of stuff - come on out early and get a schwag bag! Seattle's most ginormous and amazing display of handmade awesome! WINTER CRAFTY WONDERLAND!!!! I'll be there December 11th and 12th, again, with BUNDLES of stuff!!! Portlands most ginormous and amazing display of handmade awesome! Don't miss out on all the fun! 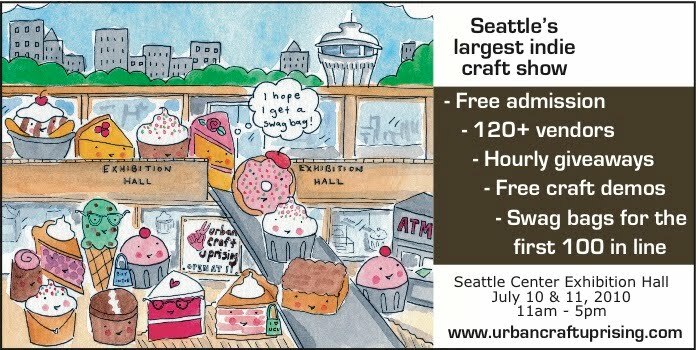 Come check out all of these great events in the PNW!!!!!!!!!! 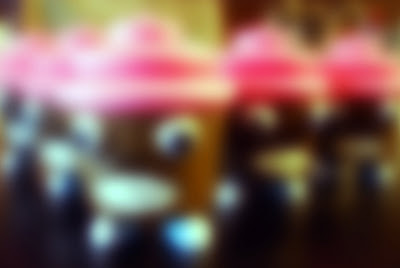 Here's a teaser -stay tuned for the full reveal next week! So, instead of a brand new post (how time-consuming is that! ), here's, instead, an UPDATE! Below are full reveal pics of the upcoming Releases at the Tenacious Toys booth (#2878) at NYCC TOMORROW!!! 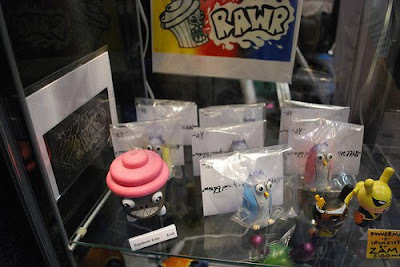 GO get your hands on some RAMPAGE TOYS resin and print art!!! The full package - 4 inch resin, super limited photolithograph and spray painted/screen printed box! RAWR!!! THE KAPUKEEKI KAIJU ARMY ARRIVES! I'll be there on Saturday! I'll be happy to do sketches if you've got a book with you :-) STop by the Tenacious Toys booth, or just find me - I'll be wearing a light green RAMPAGE TOYS T and carrying around free RAMPAGE buttons! NYCC Exclusive - and MORE!!! Greetings all you Mega-Super Peoples! 2)SCHMANCY Exclusive Kapukeeki Kaiju Plush! September 1st saw the release of the first RAMPAGE TOYS Exclusive toy at Schmancy Toys in Downtown Seattle! Kristen Rask, the awesome owner and curator at Schmancy (http://www.schmancytoys.com/), hosts some of the best artists around, and RAMPAGE TOYS is proud to have a presence in such an awesome shop! Check out the following shots and head over to the Schmancy webstore (schmancytoys.bigcartel.com) to get your plush fix today! 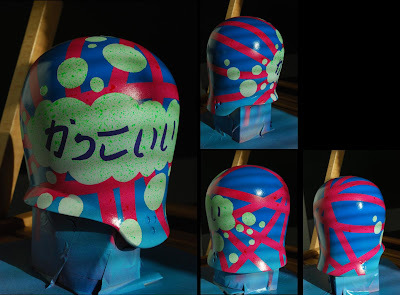 3)Promo Piece for the November "Art of Toys" resin show at Tasty Art Gallery in Seattle! Justin Hillgrove - of Imps and Monsters fame - and I have finally finished our sculpt and have cast our first piece for the "Art of Toys" show in November. This piece will be painted soon - to be completed by the 13th of this month for max-promo-exposure!!! Keep an eye out for more information - and be sure to put NOVEMBER 12th on you calendar for the opening during the Greenwood Art Walk at TASTY! As always - thanks for checking in with the RAMPAGE BLOG! 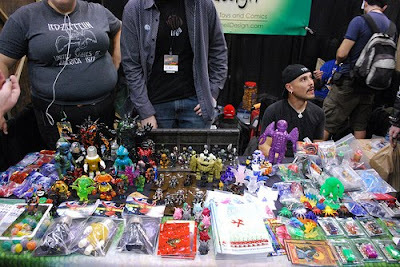 Be sure to stop by the Etsy shop (rampagetoys.etsy.com) and BigCartel (rampagetoysandart.bigcartel.com) to get your hands on some RAMPAGE toys and art! 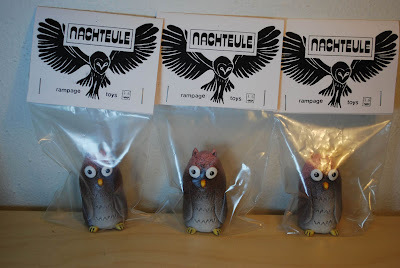 Just a short post to bring to your attention that RAMPAGE TOYS will be selling tons of new and AWESOME stuff at the Port Townsend Indie Banditas Bazaar on this coming Staurday, June 26th - 10am 'till 5pm. I'll have NEW limited edition (very short run) resin, lots of clothing, plush, jewelery, editioned screen prints and much much more! I'll make sure to have pictures up next week, at which time all left over items will be up on Etsy, at MONSTER (in Ballard - Seattle) in Schmancy (Downtown Seattle) or on my new developing BigCartel site!